Hormones play a crucial role in all forms of health — physical, mental and emotional. Everything from your mood to your complexion to your digestion depends on a healthy hormonal balance. Although your body is tuned to release just the right amount of hormones to control these functions, life can get in the way. You might be too busy to care for yourself completely, or you might be getting older, which can spark a change in hormones as well. Fortunately, there are ways to restore the balance your body is built to provide, and that’s with a healthy diet. Selecting foods that steady your hormones can make all of the difference in all realms of personal health. Make sure you incorporate these 10 foods, known to help balance things out, into your own eating. Then see how good you feel! Protein plays a vital role in balancing your body’s hormone levels. For one thing, it contains amino acids that your body can’t make itself, and beans help fortify bones and clear the skin. Protein also keeps you fuller for longer and quells your appetite between meals. The protein source you choose makes a difference if you’re trying to improve your hormonal balance. Avoid fatty red meats, and reach for legumes, chicken or fish instead. Beans have the added benefit of fiber, which boosts digestion, so they’re extra good for your health. Reach for the healthiest bean options, including chickpeas, lentils, and peas. Once upon a time, foods high in fat were considered bad for the body. Then, we discovered that some fats could be healthy, like the ones we find within an avocado. They help our bodies absorb nutrients and use them efficiently. Plus, avocados contain a wealth of vitamins and minerals, such as magnesium, potassium, vitamin E, folic acid and B-vitamins, all of which help steady our hormone levels. Yogurt contains a plethora of probiotics, also known as good bacteria, which help restore balance to your gut. 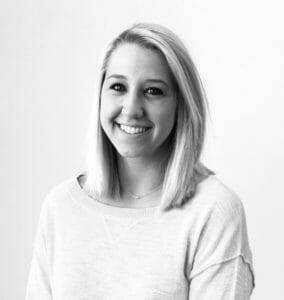 Because your gut is responsible for producing about 90-95 percent of the body’s serotonin, a feel-good hormone that makes us feel well and happy, you’ll want things in their best working order. Of course, you can eat yogurt on its own and call it a day. You might also consider whipping up an energizing snack like yogurt-covered berry bites, which provide enough of a boost to eat post-workout, pre-hike or mid-morning when you start feeling sluggish. A hormone-healthy diet should always include eggs, yolks included. 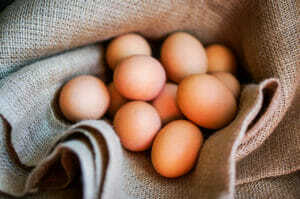 Eggs are considered one of the most nutritious foods on the planet. 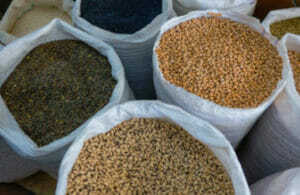 They contain a small amount of nearly every vitamin and mineral, as well as six grams of protein. All of these elements work to improve your complexion and even promote a healthy reproductive system. They also help you strike a hormonal balance and aid in the production of thyroid hormones. Just be sure that you’re eating the yolk — all the nutrients are in the yellow part, while the whites are just protein. The description “fatty fish” might not sound too appetizing — at least, at first. 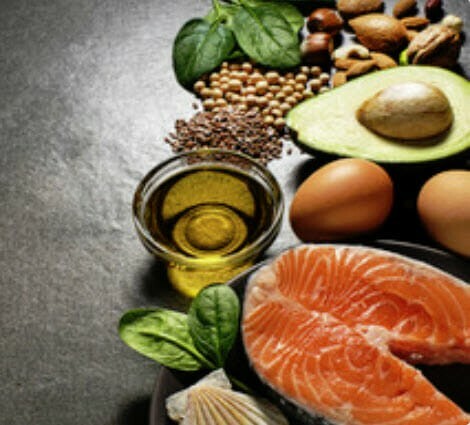 But fatty fish like salmon, albacore tuna and Atlantic herring are the best way to get long-chain omega-3 fatty acids into your diet, which have incredible anti-inflammatory properties. On top of that, research into the many benefits of omega-3s has revealed that they may play a role in diffusing cortisol and adrenaline, also known as our bodies’ stress hormones. Two servings of fatty fish per week will do the trick. We’ve already mentioned that protein helps us feel full post-meal. Fiber has the same effect by producing the hormones that signal that you’re satiated after eating — imagine how satisfied you’ll feel if you combined a protein and fiber at your next meal. You can find a hearty dose of fiber in most fruits and veggies. A good rule of thumb for deciding which one has the most fiber is its color — the darker the color, the more it likely contains. 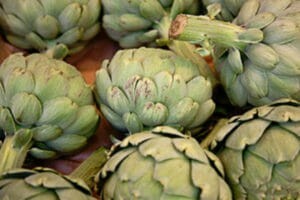 For instance, artichokes have a whopping 10 grams of fiber. Just be sure that, with all produce, you’re eating the skin, as that’s where most of the fiber is hiding. It’s time to ditch cooking sprays and switch back to full-fat oils, as long as they’re healthy ones. Your best bet is coconut oil. This lightly tropically scented option is a source of lauric acid, a boon to hormone production and your complexion. On top of that, coconut oil wards off any viruses or bacteria in your body, boosts your energy stores, and stokes your metabolism. Time to get cooking. A healthy whole grain does so much more for your body — and your hormone levels — than a slice of processed white bread. Take oatmeal as an example. The oats contain both fiber and protein, which, as we know, help us feel fuller and more energized for longer. On top of that, oats have phytochemicals that have proven cancer-fighting abilities. Sprinkling cinnamon into your morning oatmeal, coffee or tea can aid your body if it has difficulty balancing insulin levels. 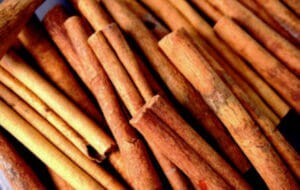 One study found that cinnamon caused liver and muscle cells to better respond to insulin. The right reaction to insulin means your blood sugar levels will even out, and you won’t have as much insulin floating around. It’s not technically a food, but water is a crucial element in your body’s production of hormones. Without it, your body won’t be able to regulate your weight, perform well during exercise and soothe stiff joints, among other critical functions. As you incorporate the above nine foods into your daily diet, accompany all of them with a glass of water. Everyone’s hydration needs differ slightly, but eight glasses a day is a good rule of thumb. Your diet is just one way to re-balance your hormones. Once you’ve mastered a menu full of healthy fats, fiber, protein, and omega-3s, add exercise and ample sleep to the plan. All of these steps combined should have you feeling balanced and healthy because, well, you are! ‹ 5 Amazing Health Benefits of Daily Meditation	› Change Negative Patterns Of Chronic Stress – Fast!